So you want to sell your car... The good news is there are some excellent online resources to help. Let's take a look at a handful of sites that will guide through with the process, and help you avoid the potential pitfalls. First, you need to determine what price to ask. The Kelly Blue Book is the gold standard for used-car valuations, and you bet it’s available online. The Blue Book values are based upon surveys of used car dealers’ and private advertisers’ asking prices. That means your car’s Blue Book price is the high end from which you will start negotiating with potential buyers. Don’t expect to get the Blue Book price for your car. Also, be honest with yourself; if the car is in “fair” condition don’t ask for the “good” price. Online shoppers will do their own research and pass you by. Another good source to help you put a dollar value on your used car is Edmunds, which takes into account the mileage, features, color and other features of your car, to calculate a Total Market Value bottom line. They show you the estimated "street price" as well as the price a dealer is likely to offer. Next, you must decide where to advertise your car for sale. There are plenty of options, some free of charge and others available for a fee. The autos-and-trucks category of Craigslist.com is extremely popular among buyers and sellers. It costs nothing and it’s targeted locally. You can tag your car by make, model, and year; and by price range and location. There are a few things to bear in mind when selling on Craigslist. Craigslist just gives you a blank page without any help composing your ad. Be sure to include all the particulars that you would look for if shopping for a car: year, make, model, even more specific style (i. e., 1998 VW Fox Wolfenberg ST). You can upload up to four photos, and you should photograph the car from all angles. Spare people “the story” behind your reason for selling; nobody cares how tragically broke you are. eBay Motors is a good marketplace for local and nationwide car sales. It costs money – a non-refundable fee just for listing the car, plus a percentage of the ending price. The good thing about eBay Motors is that it gives the novice car seller lots of help deciding what price to ask and how to advertise the car to best advantage. eBay also has a reputation for being a “safe” place to buy without getting burned (too often), so buyers are more likely to come forward. You can list a car on eBay as an auction, if you can’t decide what to charge. Auto Trader is a famous magazine for car sales ads distributed throughout the United States. It has an online counterpart where you can research prices and list a car. But frankly, I wouldn’t sell a car through this outfit. Ask an online chat rep, “What does it cost to sell a car here?” and you get 20 questions in return. They’ve segmented the market down to your Zip Code in order to milk every nickel they can out of every seller. Rule Number One, whether you’re buying a car ad or bathroom tissue: “Every honest, true thing is simple.“ Craigslist is simply free. eBay’s fees are the same no matter what your Zip Code is. Get it? There are some scams to watch out for when selling a car online. Many people have lost their cars and money out of their bank accounts by listening to a “buyer” who has an unusual story. Use common sense, and don’t let greed to sell your car make you stupid. Never tell a prospect where you live and keep the car. Arrange a meeting to show and test-drive the car in a busy public parking lot. If you can avoid going alone, do so. Never meet a stranger in a dark place. Make sure someone knows where you’re going, when you’ll be back, and what to do if you don’t come back on time. Accept cash only, or use eBay’s recommended escrow service. Even certified checks and postal money orders are being counterfeited these days. Never, ever, “make change” for a payment that’s larger than your selling price; that is, do not give any money to the buyer, no matter what story he tells you. Selling a car online is no riskier than selling it through a newspaper ad. Just use good common sense and arm yourself with information before you begin. Most recent comments on "Selling a Car Online"
I have never bought a vehcle on-line or do I ever plan to. I'm a fairly decent shade-tree machanic. All my deals were with people I knew and trusted, i've driven the cars/trucks I bought and paid an honest dollar for what I got. Ok. It needs the gizmo-dingus replaced and a head job, There's $1500 - $2000 off the asking price right there. When you buy off the wab, there's all sorts of little piddling stuff that can drive you bonkers. "What's that squeak? Why does the CD player not play my CD's? Did you hear that? Why does it pull to the left when I go faster and right when I brake? Me, personally. Not over the web. The information you have been posted here is really great i love it …great job..and the site looks really good i have gone through the post you have provided in this site they are quit good. You failed to mention the buyer protection offered on eBay. Real perople to help you if there is a problem. You have protection, at no added cost, against fraud when buying on eBay. Craig's List--Buyer Beware. Real people to help you if there is a problem. You have protection, at no added cost, against fraud when buying on eBay. Craig's List--Buyer Beware. I am skeptical of auction sites or craigslist for all the reasons listed above. 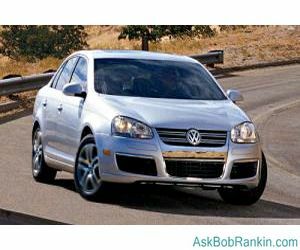 However I did use the internet for research with kbb.com and http://www.truecar.com to buy my last car and it saved me a lot of money and I've never had a problem with the car.